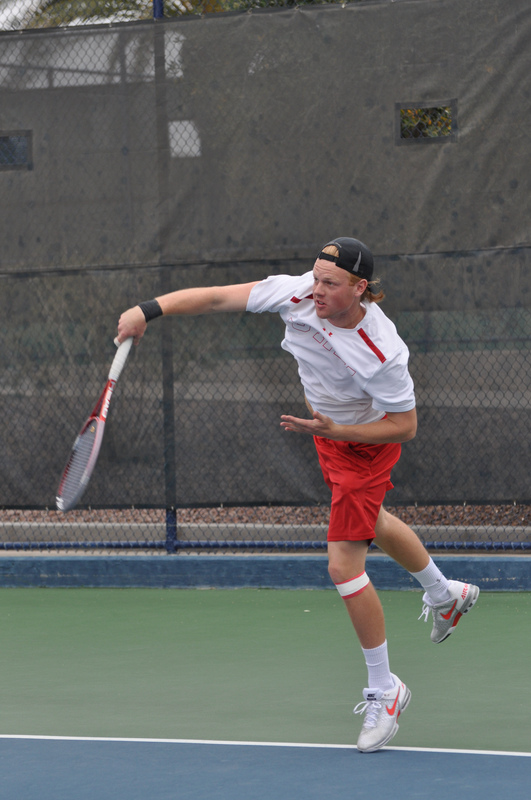 Tulsa, OK – The University of Utah men’s tennis team closed out their run at the ITA All-American Championships on Tuesday. After the completion of singles play, the tandem of senior Cedric Willems and Junior Matt Cowley represented Utah in the qualifying doubles draw. Willems and Cowley opened doubles play with a thrilling first round victory over Maxx Lipman and Elliott Orkin of the University of Florida, 7-5, 6-7(5), 10-3. The Utes lost a tightly contested match in the second round to Ben Lott and Alen Salibasic of Drake University, 7-5, 6-7(0), 10-4. The Utes will head to the Boise State Invitational this upcoming weekend. Stay tuned for more information on that event. This entry was posted in Schedule/Results and tagged Cedric Willems, ITA All-American Championships, Matt Cowley, Roeland Brateanu, Utah Tennis. Bookmark the permalink.